Southern Hospitality is a way of life in Acadiana. 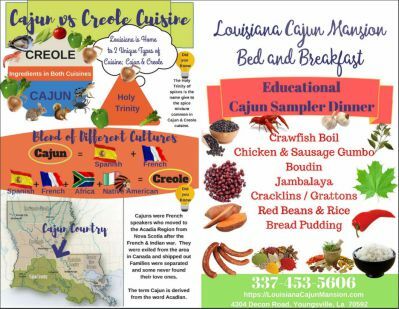 The vibrant Lafayette Louisiana metro area and surrounding communities that make up Acadiana offer visitors signature regional cuisine, cultural assets, festivals, and many historical sites. The unique identity of the city is also charming. The same culture of southern hospitality is adopted at the Louisiana Cajun Mansion Bed and Breakfast. The mansion incorporates special cultural elements including family, music, heritage, and food. We even offer a couple different dining experiences. For those who are looking a true, Cajun dinner, the Cajun Sampler Dinner is a perfect choice. 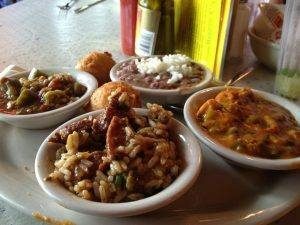 You get seven different, sample-sized dishes of popular Cajun cuisine. The menu covers everything from crawfish, gumbo, boudin, and even cracklins. And of course, for dessert, you’ll have the pleasure of trying one of the mansion’s favorite dishes, bread pudding with rum sauce! And I can tell you from experience, it is definitely the only bread pudding I cannot refuse! If a quiet, intimate dinner is what you need, I recommend the Five Course Romantic Dinner. Dinner is served in the private wine room, beautifully decorated with Mikasa crystal, Waterford China, and William and Son gold flatware, mood lighting, candles, and soft music. 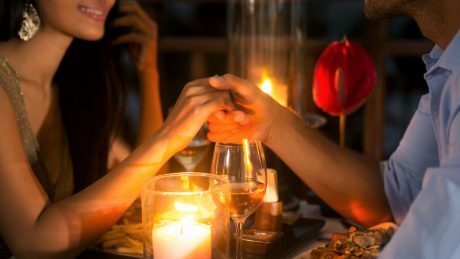 This romantic dinner is an experience you and your lover will never forget. The delicious courses are served one at a time, making the dinner two and a half hours long. I can’t think of a better way to dine with my love. Each suite has a unique, beautiful view of the grounds, plush queen-sized beds, designer bedding, a private bath, and five star concierge sundries. The luxurious Atchafalaya Suite is elegant and romantic. Being tucked away in the north wing of the mansion makes it a perfect choice for quiet, romantic getaway with your partner. If you’re planning a girl’s weekend, I’d recommend you check into the Lagniappe Suite. This room sleeps up to four people, has two entry doors, and located in the back of the main house, making a trip to the pool fast and easy. The Bayou Suite is the small, quiet, yet very interesting option for those who enjoy a stunning view of nature. You can watch wildlife roam through the grounds and see the beautiful, manicured yard filled with oak and cypress trees. Of course, for those who are interested in a different kind of overnight experience, the mansion offers glamping tents. Glamping is a one-of-kind, glamorous camping experience with many amenities including climate control, swimming pool, grilling area, and so much more. It’s a perfect choice for a night with your girls, bring some food for grilling, prepare for a swim, have a few drinks at the bar, and the mansion serves you breakfast the next morning! When choosing this B&B as your ultimate, centrally-located accommodation solution, prepare yourself for countless amazing amenities. 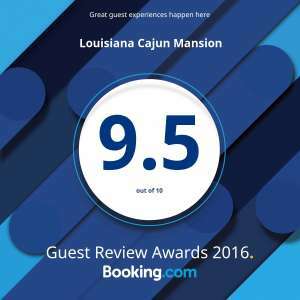 Whether you’re on a business trip, family vacation, romantic getaway, or a relaxing weekend with your friends, the Louisiana Cajun Mansion knows how to make your trip special. 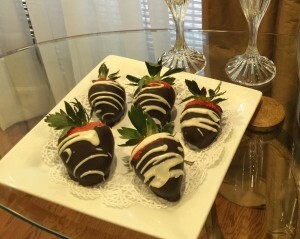 You can order flower bouquets, plan a great dinner on the patio, have a relaxing massage, enjoy sweets like chocolate covered strawberries or cake balls, or even surprise your love with breakfast in bed. The mansion prides itself on ensuring your experience is the best it can be. We believe in providing special services and requests even before the guests’ arrival, and then confirming once more with them on the day of arrival. Our amenities aren’t your basic amenities you get in every other B&B. We aim to make our guests’ trip memorable and provide the best experience by offering distinctive, in-house facilities. Complimentary services can be found all throughout the mansion, including tea and coffee stations in different rooms, common areas, and even outside on the beautiful patio. The mansion always goes above and beyond to serve and offer the best complimentary amenities to you. We also have a few conveyance amenities that most other B&Bs don’t offer. At the mansion, you always experience a warm, comfortable, home-like environment. There is always something new and special for you to try and enjoy. 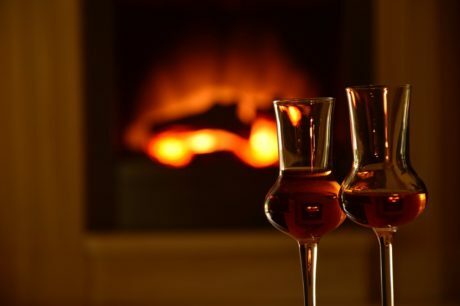 Whether it’s a romantic dinner, preparing for local festivities, or even just socializing and relaxing on the patio, all is part of our southern hospitality and valuable culture that we keep alive here. 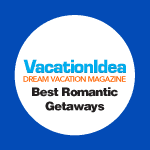 We are fully prepared to help you plan and execute your intimate wedding, a girls’ getaway, babymoon, romantic getaway, or any other celebration you would like to host. We keep our guests satisfied with the services we provide taking our southern hospitality to new heights. We look forward to giving you a true reflection of southern hospitality. We are sure you’ll enjoy all we have to offer. Start planning your getaway today.